In my opinion travel, from absorbing the sights of the place for the first time, to trying local cuisine and immersing yourself in another culture, is one of the greatest gifts. So for my 20th birthday, I celebrated with one of my dearest friends in the vivacious city of Barcelona! Somehow in all of my years of adventure I had never been to Spain, but now I am already planning a trip back! The art and architecture were marvelous, I could have spent weeks wandering around admiring the facades on the buildings. 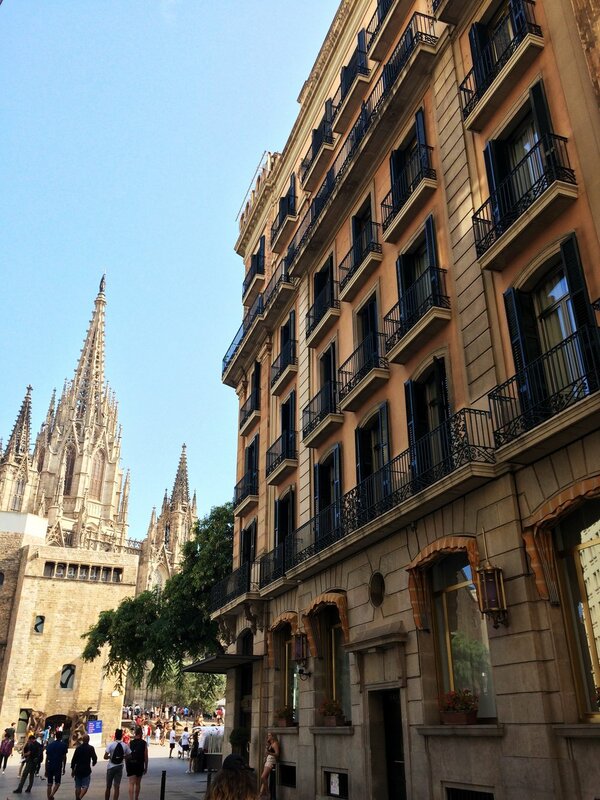 I stayed at the gorgeous Hotel Colon, with beautiful sunrise views of the Cathedral on the opposite side of the square. For my fellow art geeks I recommend wandering around the Gothic Quarter and surrounding neighborhoods as it had some of the most beautiful buildings and squares I found. As you may know I am very much a foodie and so had high expectations. Between the house recipe paella at the Restaurante Taverna del Bisbe and sangria popsicles my trip to Barcelona was very much an exercise in gastronomy. One of my favorite moments was drinking claras on the rooftop bar of a covered market in Glòries, enjoying the cool breeze as the late afternoon sun glittered off the antiques and treasures. This is a city where you can feel history in every step you take, filled with the passion of the catalan people. 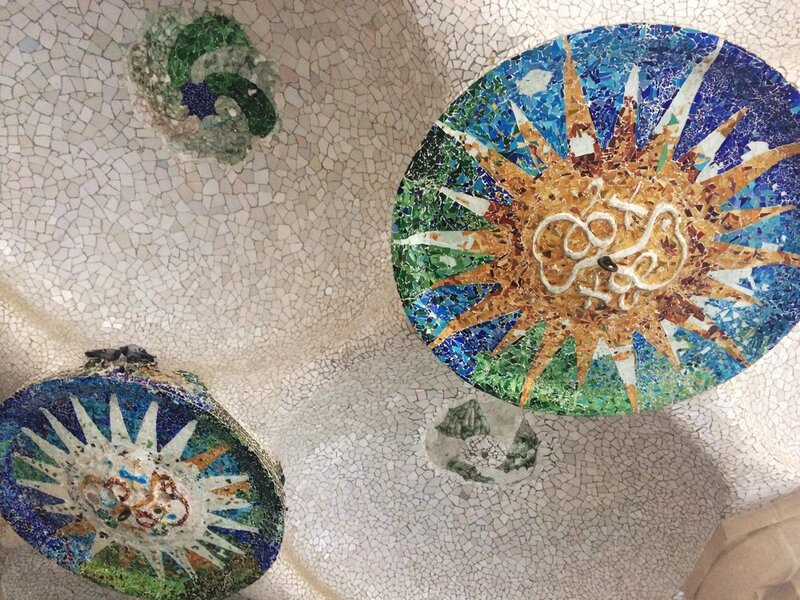 Yet it is modern and living, the rainbow of houses and shops lining our trek up to Park Güell proved it. Perhaps nothing better describes the spirit of Barcelona quite like Gaudí’s master piece in landscape and architecture. A kaleidoscope of mosaic and stone work, I felt like I had wandered into Wonderland and only the laughter of the people around me brought me back to earth.